This is a pic I finished for an upcoming mini-setting based on the music of: Pink-Floyd, Nick Cave, Warren Zevon, Lou Reed, and Tom Waits. A giant factory city where everything is made and opportunity comes at the cost of a soul. 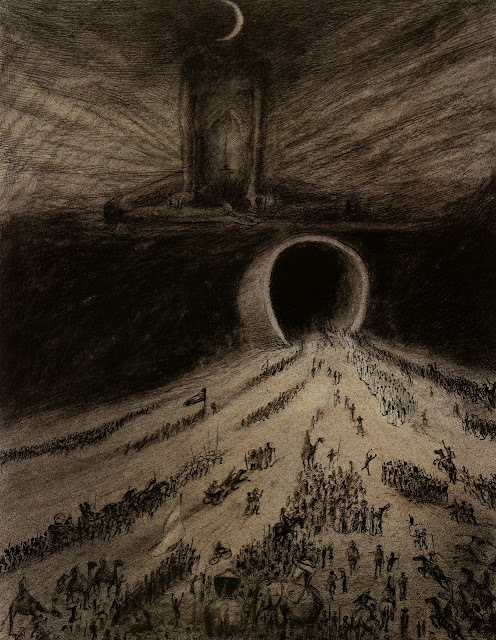 The pic is an homage to Alfred Kubin's 'The Way to Hell', pictured below.